The workshop on Digital Agriculture that took place in Montpellier on April 3-4, was a great success. We would like to warmly thank Mathieu Roche for his initiative, as well as Annie Huguet and the entire CIRAD team for the excellent organization of the meeting. This meeting reinforced the collaboration between Inria, Cirad and African partners on digital agriculture from which new Inria team proposals might emerge in the future. It would be interesting to have similar initiatives on other topics in order to facilitate contacts between Inria teams and African colleagues and thus encouraging the creation of new LIRIMA teams. LIRIMA will be evaluated in next september. We thank Prof. Maurice Tchuenté and the LIRIMA Scientific Council for managing the scientific aspects of the evaluation seminar. The teams have been asked to prepare an overview of their activities within LIRIMA. We do hope that this seminar will be a success and that the partners will be interested to pursue the collaboration. It will also be an opportunity to adapt the agreement in order to improve and simplify the governance of LIRIMA. In particular, it is important to increase the involvement of the African partners in the inception, selection, support, and evaluation of projects. We also have to think about the ways we can improve the animation of the lab. The organization of thematic workshops, in addition to our LIRIMA Scientific days, could serve this purpose. Some of these workshops may take place during the CARI conference. Some shorter meetings might be organized through video-conferencing tools (webinars). Workshop on Digital Agriculture in Africa in a nutshell! On the initiative of Mathieu Roche, member of the LIRIMA Scientific Council, a workshop on digital agriculture in Africa was organized in Montpellier on April 3 & 4, 2018. This workshop was held in CIRAD buildings and was organized by UMR TETIS and LIRIMA with a support from #DigitAg. In order to promote the development and deployment of digital agriculture in France, Europe and the countries of the South, the Convergence Institute for Digital Agriculture #DigitAg (http://www.hdigitag.fr) is indeed proposing an interdisciplinary research project focused on the promotion of research on these topics and on higher education. Despite the transportation strikes almost all registered participants were able to make the trip to Montpellier. However, two presentations had to be made via videoconference, but the exchanges were very smooth thanks to the assistance of CIRAD technicians. Two LIRIMA teams had the opportunity to present their work: AGRINET on “Smart agriculture monitoring” and EPITAG on “Modelling and control in epidemiology for tropical agriculture”. According to the participants, this meeting was very interesting and stimulating. 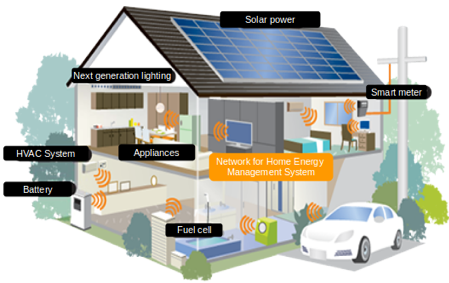 Some follow-up to this initiative are under consideration. First, we envisage a second workshop on this topic, preferably organized in Africa. Also we are looking at means to support some emerging collaborations between CIRAD, Inria and African partners on digital agriculture ; some of which might subsequently give rise to new LIRIMA teams. 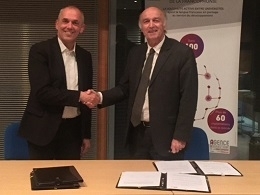 On January 17, 2018, Inria and Agence Universitaire de la Francophonie (AUF) signed new agreements to strengthen their collaboration in the digital field. The evaluation Seminar will take place from September 18 to 20 in Paris (venue to be confirmed). The next conference will be held in South Africa under the responsability of Prof. Bruce Watson (Stellenbosch University). The conference will be associated with ICTAC (International Colloquium on the Theoretical Aspect of Computing: https://www.ictac.org.za/) and will be preceded by a research school co-organized by CARI and ICTAC on the “Formal methods for computing systems”. 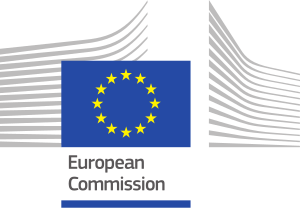 Marie Sklodowska-Curie Action: Call for Individual Fellowships is open until September 12! 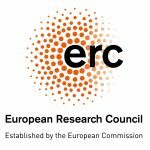 European Research Council (ERC): the call for Advanced Grants is open until August 30th! Our colleague Amel BEN ABDA interviewed by Okay Africa.